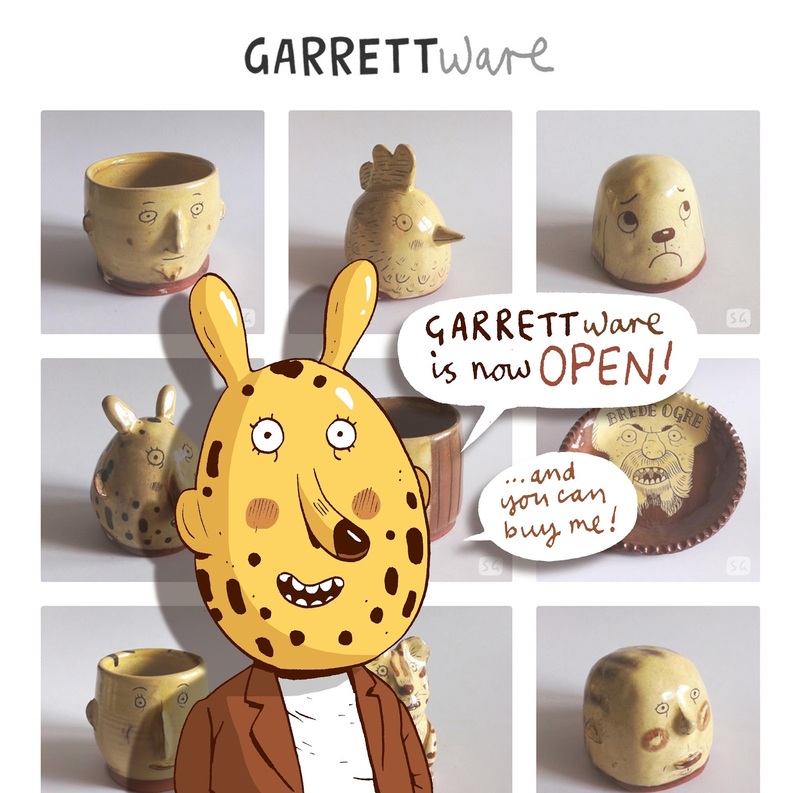 GarrettLife: GarrettWare - Online Pottery Shop!! GarrettWare - Online Pottery Shop!! You can see my pots at GarrettWare, just click that link! My Slipware pottery is now available to buy. It's taken me a while to decide whether i should sell what i have been creating. I was waiting to iron out a few of the issues i've been having.... but finally i gave in to peer pressure, to just let people buy them, even with the odd blemish! They were right and as long as i'm upfront about any defects, i'm happy to sell them... and have sold them. Which has pushed me to update my online shop to now make it a purely pottery space... and hence the name GarrettWare (i know a bold move, claiming a whole niche in pottery to myself! Anyway it feels good and is motivating me to step it up a gear! I shall keep updating it as i create more pots and hopefully get some of the larger, more elaborate pieces on there with more sgraffito! It's exciting, i'm excited.... and that doesn't happen very often! Congratulations! You have a real knack for capturing a lot of personality with very simple forms and lines!